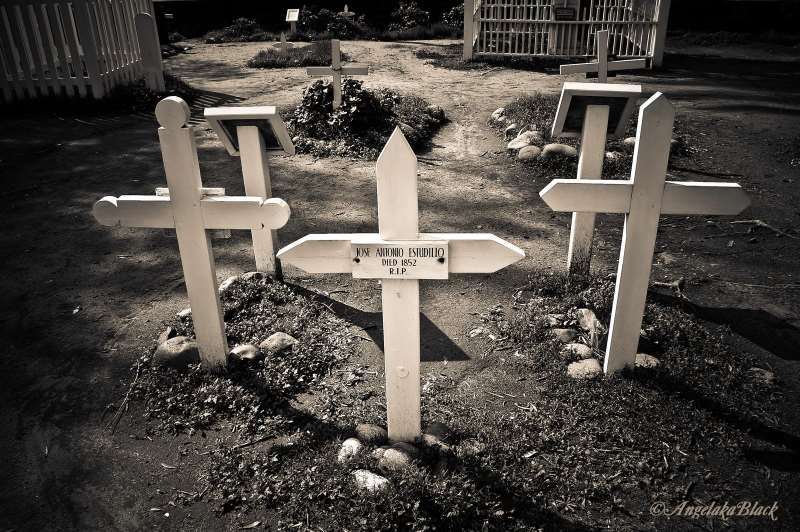 Sitting on the outskirts of Old Town San Diego, El Campo Santo Cemetery holds many dark secrets. The cemetery was established in 1849 by the local Catholic community, and was very large with many hundreds of plots. Over the years, though, Campo Santo Cemetery became a victim of urban expansion. Bodies were unearthed and moved, or simply discarded. Tombstones were removed and buildings constructed right on top of the graves. The worst of it happened in 1889, when a street car line cut right through the graveyard. Later, the line was expanded into a modern city street. Yes, that’s right. They built a city street right on top of about 18 graves. That was a bad idea. Spirits really hate that kind of thing. Today, El Campo Santo and the surrounding area is one of the most haunted spots in California. There are numerous spiritual manifestations in the vicinity of the cemetery, ranging from cold spots to visible apparitions. It’s no surprise, really. Cemeteries are often psychically active even when well-maintained and treated with respect. The restless ghosts of Campo Santo are downright angry, and with good reason. 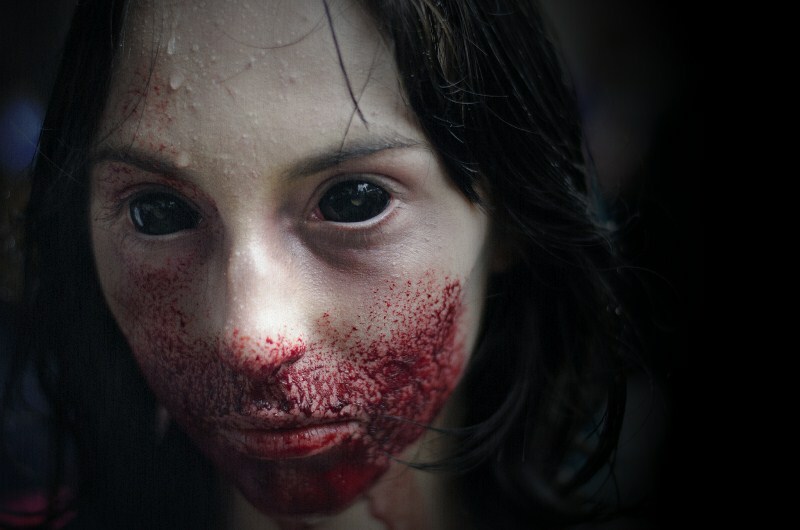 For the modern day ghost hunter, there are all sorts of spooky phenomena to experience. There are a couple of local legends surrounding the place that are particularly gruesome, and the paranormal entities involved are fearless and eager to interact with the living. Actually, contrary to instinct and popular belief, many cemeteries are not all that haunted. Although the recently deceased may congregate there after their burial, many spirits tend to move on rather quickly. Ghosts love to attend their own funeral, but if they are still sticking around on the mortal plane afterwards, they will usually return to a place that was important to them in life. That could be their home, or the site of some unfinished business, or very often the scene of their own death. Those words “unfinished business” are key, though. Spirits are volatile in personality, and it’s not uncommon for them to take offense. For example, the desecration of a graveyard where they are buried could easily raise a spirit’s ire. That’s what has happened at Campo Santo. It’s thought that ghosts have difficulty distinguishing one living person from another, which explains why they’ll often accost innocent explorers and investigators. 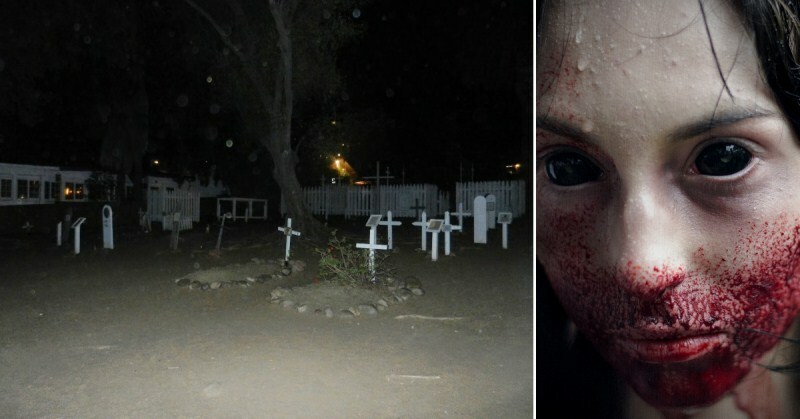 Visit El Campo Santo Cemetery and prepared to be terrified. The things that exist there don’t know or don’t care that you aren’t the one who built that street over their bodies. They’ll treat you like you did, regardless. One such resident of Campo Santo who has more cause for rage than most is Antonio Garra. A chieftain of the Cupenos tribe, Garra lived in the mid-19th century. It was a time of strife between the United States and the Cupenos. The tribe was engaged in a civil disagreement with San Diego, which had begun levying taxes against them while denying them the right to vote. Chief Garra brought that civil disagreement into the realm of the decidedly uncivil when he led a violent uprising in 1851. The execution of Antonio Garra added insult to injury. Forced to stand before a firing squad next to his grave, so that his body would fall directly in, Garra was also asked to beg forgiveness of the crowd. After a few moments thought, Garra found his final words. Chief Garra was telling the onlookers that they should ask him for his forgiveness for their treatment of him and his Cupeno people. Naturally, they did not. The last thing Garra heard was the crack of the gun, before blackness overtook him. This is prime material for a haunting, and visitors to Campo Santo today have reported hearing the cries of Cupeno warriors and their gunshots in the distance. Chief Garra is occasionally visible standing on nearby rooftops or lurking in the cemetery itself. It’s said that he will duck out of sight quickly in the cemetery, but is fearless and defiant at a distance. He seems to enjoy exploring the homes and businesses surrounding the cemetery, many of which report frequent mysterious problems with their electronics and lights. EM disturbances and EVP phenomena are all too familiar around Campo Santo, and the area is a favorite spot of ghost hunters looking to ply their trade. Another well-known ghost of Campo Santo Cemetery is the spectral remains of a prostitute from the early 1800s. Refused burial inside the cemetery, the story goes, the woman cursed the populace of the town. She is denied entrance even in death, and today can be seen prowling the main gate. Although she will not allow people to come too close, she appears as a woman wearing a low cut dress, long skirt, and a bandana. She walks up and down the fence, impossibly silent, and simply walks away if approached. A beautiful floral wreath hung on the gates is said to be the locus of her spiritual power. The wreath was hung by the cemetery owners, and has come to symbolize the prostitute. Like her, the wreath hangs just outside the gate, never inside. Ghosts tying themselves to physical objects in this manner is quite common, and touching such an object is a great way to get the attention of a spirit. Be very careful doing so, though. The attention of a ghost isn’t always something to be desired. Especially in a place like Campo Santo, where they are already angry and upset over the many trespasses onto their grounds. If you do try to communicate with the woman outside the graveyard, be ready for anything. She’s powerful enough to become visible to the naked eye, sometimes without even the use of an infrared camera, and she’s known to be resentful of living people who can so freely access the cemetery. Although cemeteries aren’t always haunted, when they do attract ghosts, they do so in the most dramatic way possible. When it rains, it pours, as the saying goes. At Campo Santo, the desecration of the graves has brought out a huge number of other spirits. Strange figures have been spotted in the night, faintly glowing and appearing to float above the ground. Some people have thought they were employees of the cemetery, but even the most cursory investigation will prove this false. Park employees don’t wear Victorian garb, for one thing. And they certainly don’t vanish in plain sight. These ghosts could be anyone, any of the hundreds and hundreds of people who were buried there over the years. Cold spots permeate the area, and visitors walking through often experience quick bursts of chill, as though an icy finger was brushing over their flesh. In the mid-1990s, the local business owners decided they had had enough. Pooling their funds, they hired a professional ghost hunting crew to find the source of the hauntings and put an end to it. Teaming up with an exorcist, the group performed an elaborate ritual intended to drive away the spirits. And it worked! To an extent. For a time. The reports of paranormal activity ended for several months, but then slowly, inexorably built up again. It seems that the spirits’ power over El Campo Santo is such that even a concentrated effort cannot drive them away. One hopes that the attempted eviction of the area’s oldest residents didn’t upset them even more, but sadly, that seems unlikely. 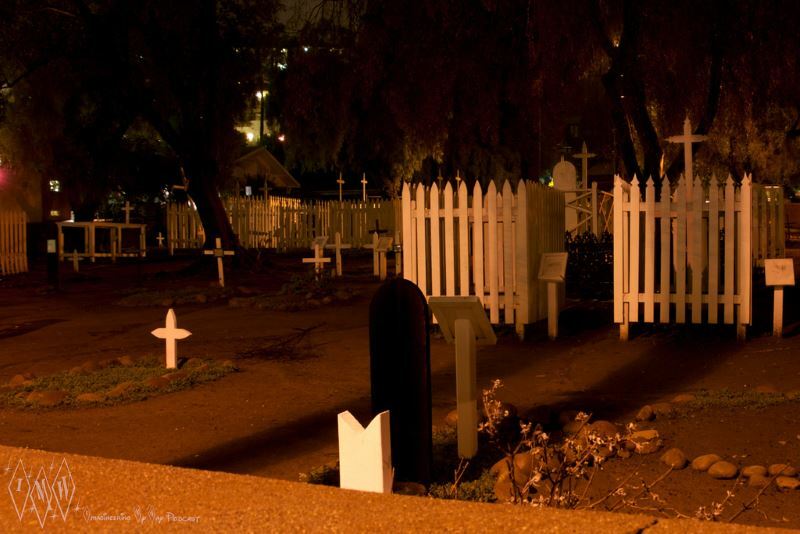 Today, Campo Santo Cemetery is as haunted as it ever was. If anything, the ghosts are even stronger now, and even more willing to influence the living. If you should visit the area, keep your eyes open and bring a friend for safety. 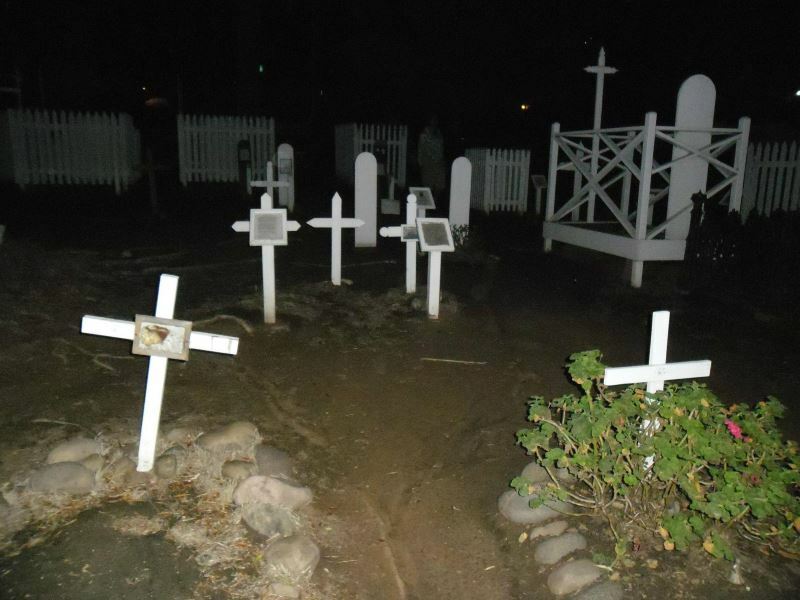 This may just be California’s most haunted graveyard. Want to see if you’re brave enough to visit Campo Santo Cemetery? If you think you’re ready for it, Click Here To Get Directions To El Campo Santo Cemetery. Your next step? Share this with your friends of course. Click the share button below.